These days not very many children like to study from books. The world is changing and so are our children. They are on smart phones all day. Traditional textbooks are no longer being used. People are gradually shifting to ebooks and kindles. Children are reading on Ipads. High school homeworks require typed papers and online research. College students now use blackboard system to complete their class assignments and take quizzes. IN SHORT: The world is changing. New gadgets are taking over traditional books and notebooks. Do you have a child that need math help? How can your child learn math if he or she is on smartphones all day? Here are fun math game apps for android and apple users so that your child can play and learn math at the same time. PARENTS No more shutting games off just shifting gears to these games that are educational and fun! This game requires children to place answers on bingo board. When child earns bingo he can collect pets and earn food to feed their pets. This app has colorful cartoons and pets to help children visually understand each problem. It is aligned to core math concepts for children in Kindergarten to 4th grade. Children can learn addition, subtraction, multiplication, and division. They can also play in mixed math mode. 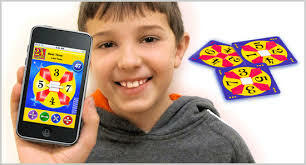 The app adapts to the child’s skill level so that the game stays fun and challenging. Parents can keep track of their child’s progress. This app costs $1.99 to purchase. This game is very creative almost like having your own virtual tutor. Your kids are turned into secret spies whose must travel around the world on different missions. In each mission, they must perform math drills that require addition, subtraction, multiplication, and division. It also introduces them to global geography because there are 105 exciting missions in different parts of the world. This game is recommended to use with children in 1st grade or beyond. Children learn basic math skills and solve problems. This game is very exciting and intriguing. Operation math is $1.99 for android users and $2.99 for iOS users. This game makes your child imagine that the world is overrun with zombies and that he or she is part of a team of trained scientists who can save them. To save the world your child must use math skills and special powers. This game is extremely fun and addictive so your child will ask “tutor me” to win this game. This game is recommended for children in Kindergarten to 4th grade. Children learn addition, subtraction, multiplication and division. Parents are able to monitor using a detailed report card section and provide help as needed to improve math skills. This game has 84 exciting levels. The app is free to android users and $4.99 for iOS users. This game makes your child develop speed in solving math problems and become competitive with other players. This game can be played as a single player, multiplayer race or as an infinite run. The game has a unique feature that allows run and jump race with other players. The only way for their meerkat to get ahead in the game is by answering math questions. This game is fun and adventurous for children. It makes people star tutors when it comes to basic math. The game introduces them to math facts and allows them to practice during races and runs. This game can be easily set up to be a videogame. Children can beat their own scores or scores of other players just like a videogame but giving math help to those who are struggling in class or needing extra practice to get ahead. This app is FREE for android and iOS users. This app portrays Bo’s 10 monkey friends who are trapped in a tree and needing help. The only way to free the monkeys is by answering multiplications questions correctly. To free the monkeys your child must master times tables from 2 through 10. This game is fun and full of excitement. Parents love it! Children are having problems with times tables and this is a great way to help. The game also contains review sheets and charts to help them master multiplication skills. This app is free for android users and $1.99 for iOS users. I Hope This Helped Spark Some Creative Ways To Engage Children In Learning!!! If you need further help please call or text Phoenix Tutoring & Test Prep at 773-386-3184. You can also visit www.phxtutoring.com to book lessons with us. We provide tutoring services in Chandler, Gilbert, Phoenix, Scottsdale, Ahwatukee, Paradise Valley, Mesa and Tempe. We also provide etutoring online through skype all over United States. Hope you enjoyed our tutoring tips!